So, instead of being all sad about my upcoming knife to the eye, I’m concentrating on my 52 Projects Challenge (I’ll post the two projects I missed in the next week or so). 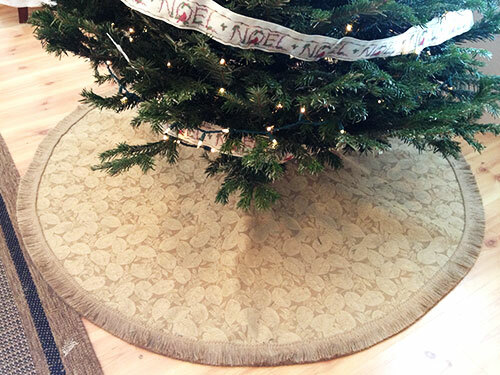 Today is the DIY Christmas Tree Skirt. 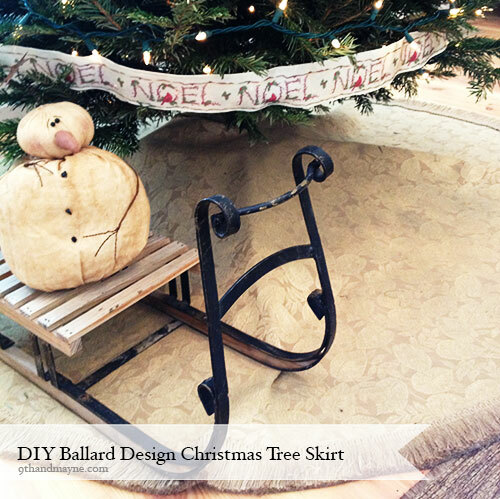 I originally planned on using this tutorial for a burlap skirt with ruffles (6 yards of burlap) but when I saw this upholstery fabric, for $6 a yard, I was reminded of the Ballard Design Tree Skirt with fringe….So simple and easy & No sewing! 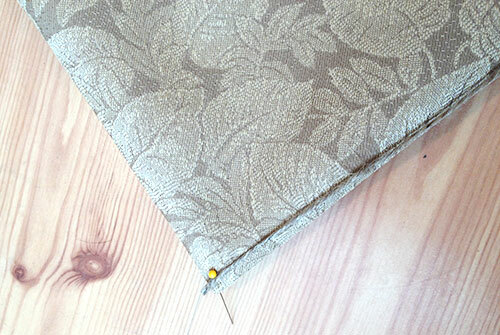 This fabric is very sturdy and thick, better than using burlap can be very flimsy. 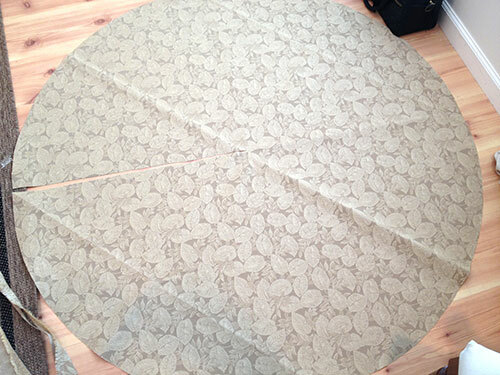 I folded the fabric in fourths so I could cut once and it would be a perfect circle. I knew I wanted it at least 60″ so I made sure the shortest part was at least 30+” (from point to middle top). 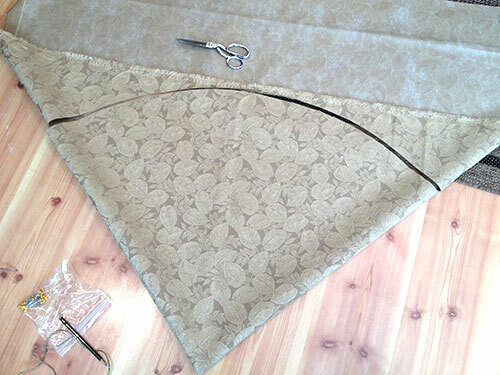 I used a needle and Jute, the length I wanted/needed…. 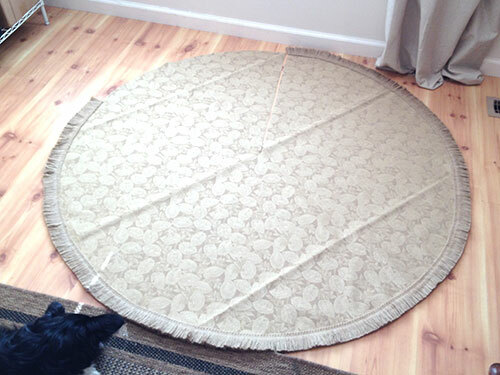 I held a pencil at the end of the Jute while holding the needle and made a 1/4 circle…. I cut it out and opened it up…. 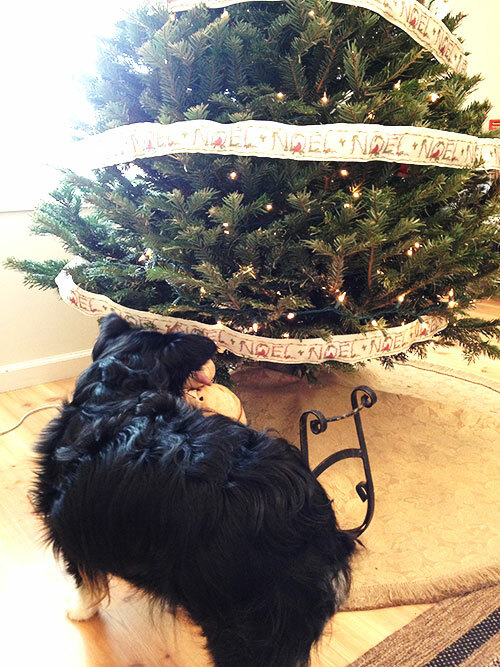 I cut half-way up the side so I can wrap it around the tree…. 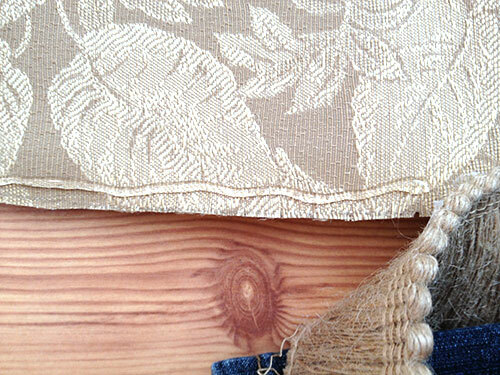 Now the fun part….using my trusty glue gun, I glued the Jute fringe onto the skirt…. Isn’t that awesome! 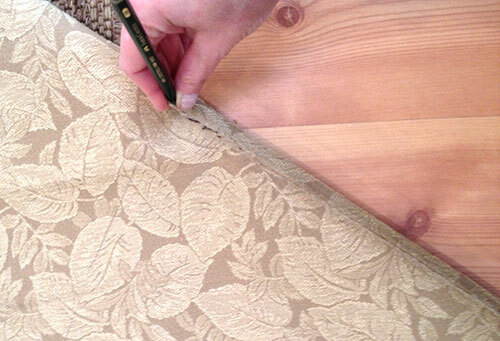 Who knew that a glue gun could take the place of sewing?! Oops! Someone didn’t calculate the fringe correctly. Back to the store…. Here’s the finished project minus the extra fringe. 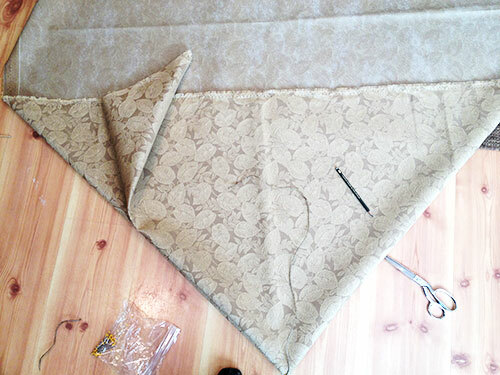 I making a list for the fabric store so I only have/need to go once. Again, in my picture. She wouldn’t move until I put my phone away. I had to get it out without her noticing. I still need to add decorations to our tree. I’m thinking of wrapping empty boxes too. So much fun! I’m hooking up with Sugar Bee’s ‘Take a Look Tuesday’, Today’s Creative Blog ‘Get Your Craft on Tuesday’ and Not Just a Housewife.…great linky parties with tons of diy’s and crafts, check it out! Beautiful!! 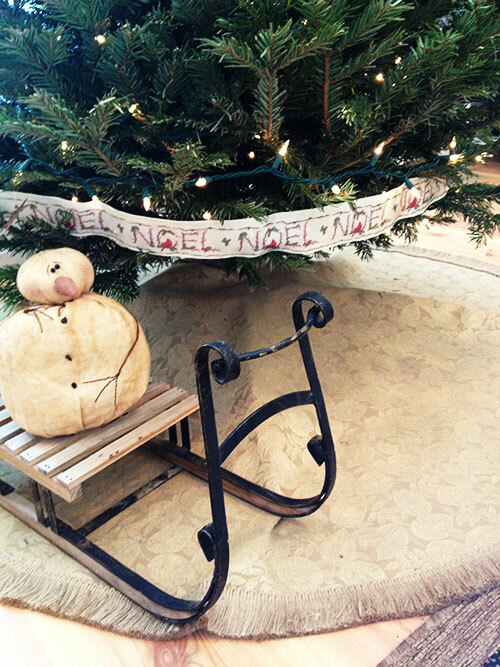 Did you also make the Noel garland? luv it too!!! Ok! 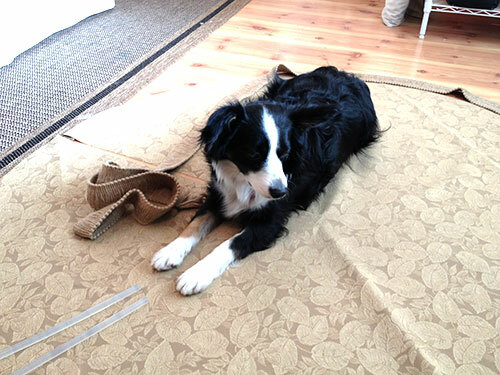 Wait…NO sewing!? I am in!! 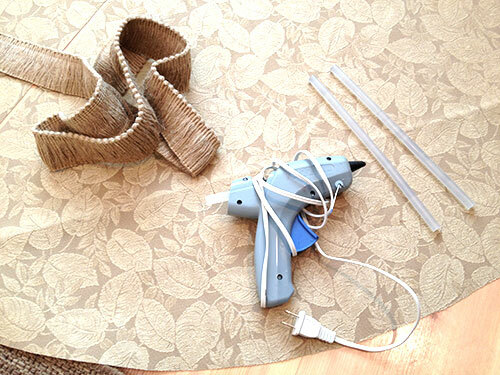 :) Anytime I can use my glue gun instead of my sewing machine (happily collecting dust) I am all in. It looks fabulous!